Hedgehog Applications made it to the finals of the Accenture Innovation Award. The grand finale will be on 28 of October at the Accenture Innovation Summit. 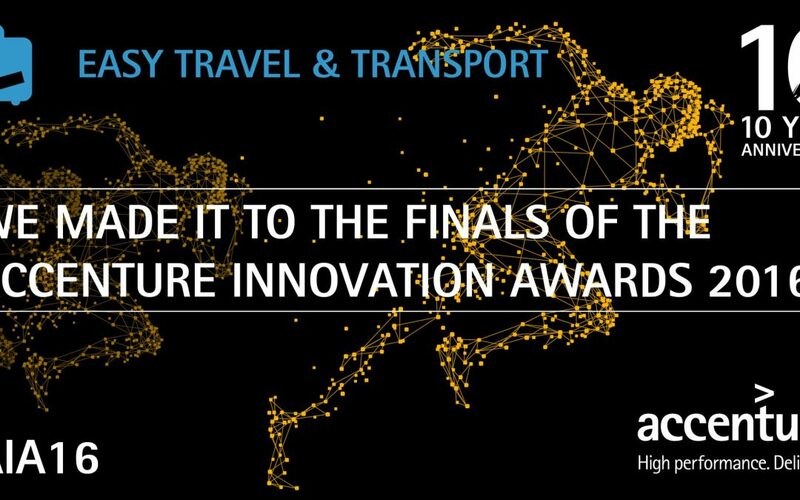 The judges of the theme Easy Travel & Transportation have determined the top five innovations within the theme based on the evaluation criteria innovativeness, growth, potential and impact.